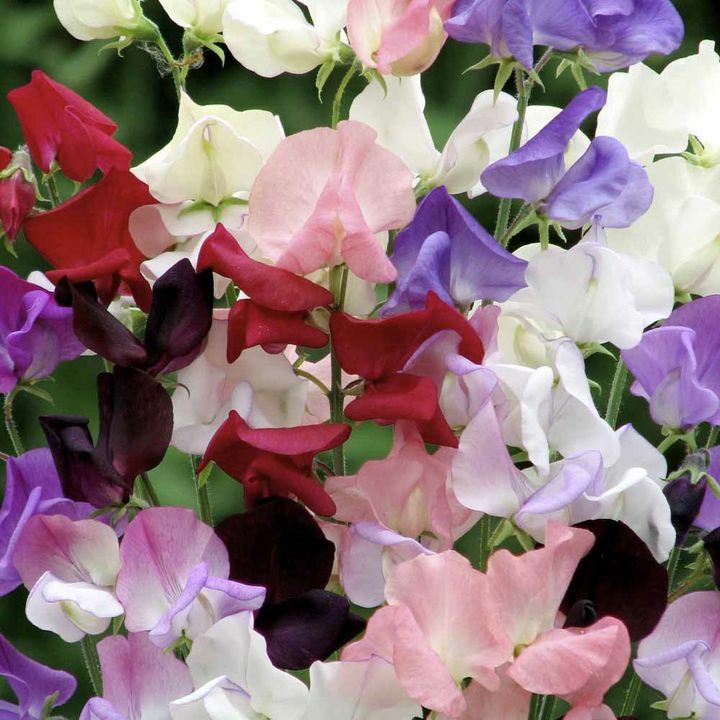 Introduced last year, this is the ‘Rolls Royce’ of sweet peas. Technically it qualifies as a ‘modern’ grandiflora, where breeders have worked to increase the size of the flowers without sacrificing the key benefits of numbers of flowers and delicious, distinctive perfume. Capricorn has the widest colour range of this type currently available, with long flower stems ideal for cutting for use in vases and bouquets. HHA/HA - Half hardy annual/Hardy annual. Scent Key - 3 (High scent). Grandiflora/Heirloom type. The widest colour range of any "modern grandiflora"
You would think from the name that these types were large flowered, but strangely this is not the case. It is more a case of smaller blooms than the Spencer types but far more of them, mostly 5-6 flowers per stem. 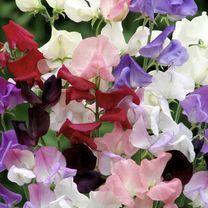 Easy to grow and excellent for colour in the garden, the highly fragrant blooms are also good for cutting.